This week students learnt how to improve their cooking skills by using the melting method when making chocolate brownies. It was great fun and a great way of improving both cooking and social skills. Year 8 and 9 students were supporting the younger students. This session also helped with the student’s sensory skills. Through tasting, hearing, touching, smelling and seeing, children are exposed to and also can identify different foods. Motor skills are improved by being actively involved with food. 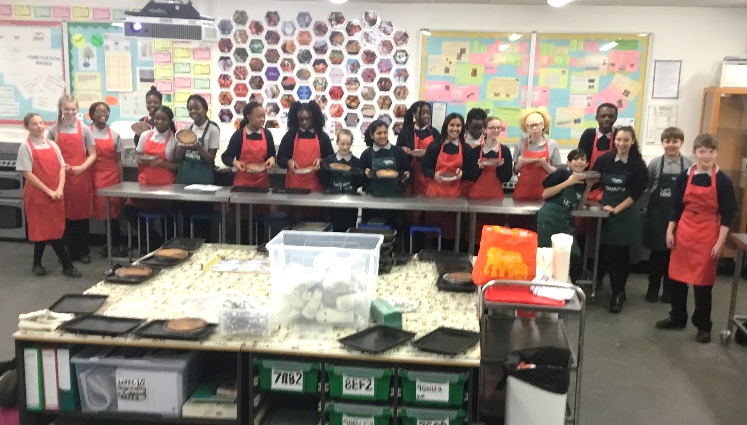 Food preparation also enhances eye-hand coordination; it was pleasing to see most of these skills were being carried out in the club and the students got a great deal out of cooking this product. It was a very hard practical task to master, I was pleased with the progress they made. In addition, we have three Duke of Edinburgh students attending to complete their skill section of the award. I would like to say a big thank you for both your commitment and dedication and taking a great deal of responsibility towards improving and developing your cooking skills.